Oban - gaelic for little bay. Oban Distillery was founded in 1794, and the town grew up around it - but the bay is known to have been inhabited since prehistorical times - caves sites have been found, including at the distillery. Prior to the establishment of the distillery, the focus would have been on Dunollie Castle, whose ruin can still be seen dominating the north entrance to the bay - the Clan MacDougall abandoned it in the 18th century and built Dunollie House. There is thought to have been a fortification here since at least the 7th century. Dunstaffnage Castle, 4 miles north of Oban at the mouth of Loch Etive, dates from the 13th century, and was one of a number of castles around the Forth of Lorne strongholds of various clans. In the 19th century steamers plying the 'royal route' from Glasgow to Inverness via the Crinan and Caledonian Canals would stop here. The opening of the Callander and Oban railway in 1880 making the journey from Edinburgh much quicker. 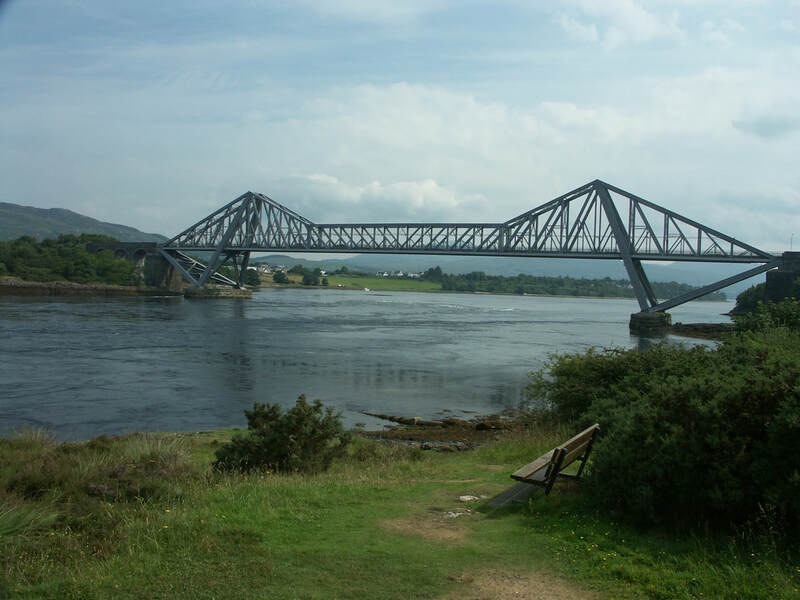 Initially the route to Glasgow was rather roundabout - via Dunblane, until a connection to the West Highland Line in 1897 established today's route - the original route was closed by Beeching in 1965. 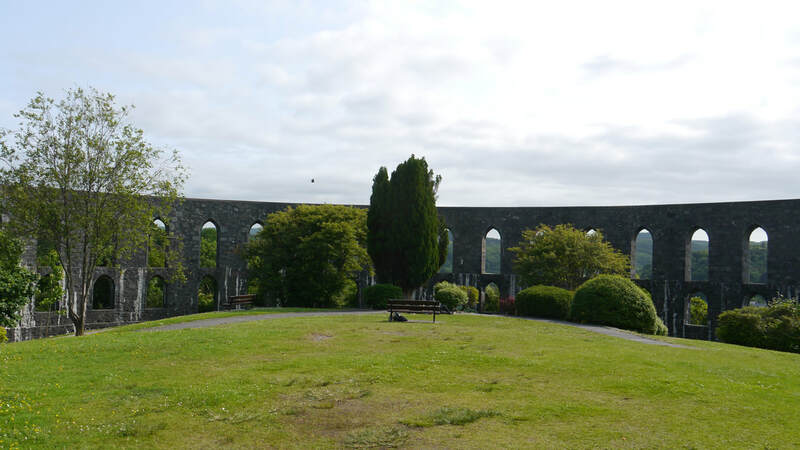 The most prominent feature of Oban is McCaig's Tower crowning the hill above the town - building started in 1895, when John McCaig wanted to provide some work for unemployed stone masons, but ceased on his death in 1902. Gazetteer for Scotland has an historical piece from 1885, which manages to make only an oblique reference to the distillery. 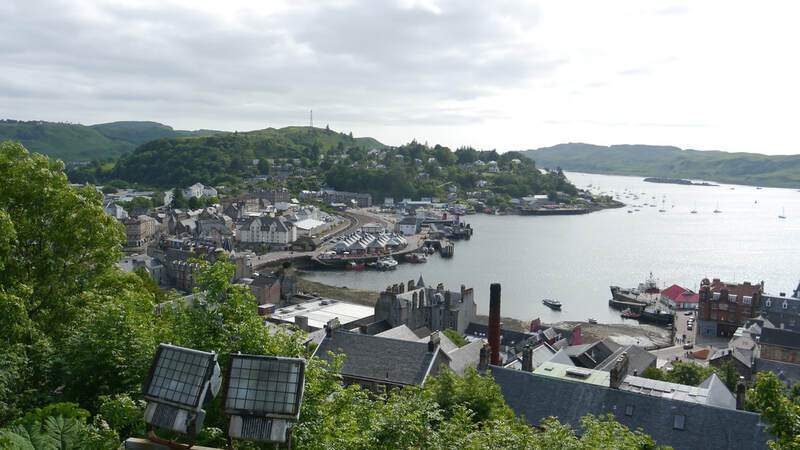 Oban was built around a distillery - the only distillery to be so completely at the centre of a town. 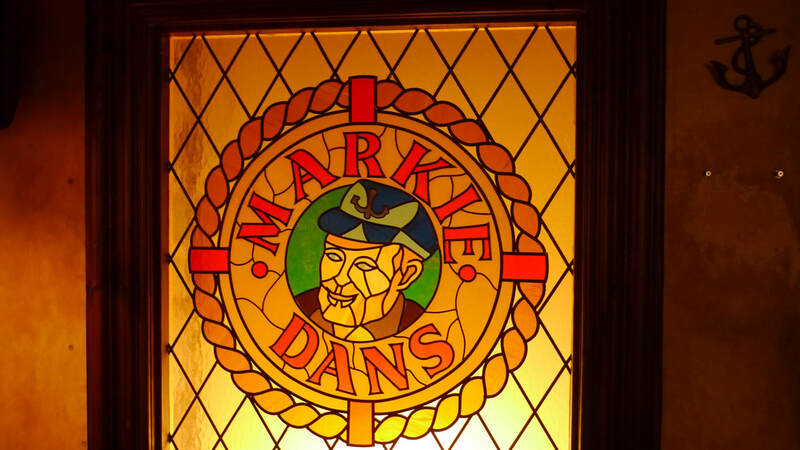 A reasonable rage of malt whiskies is available in many of the restaurants in town. 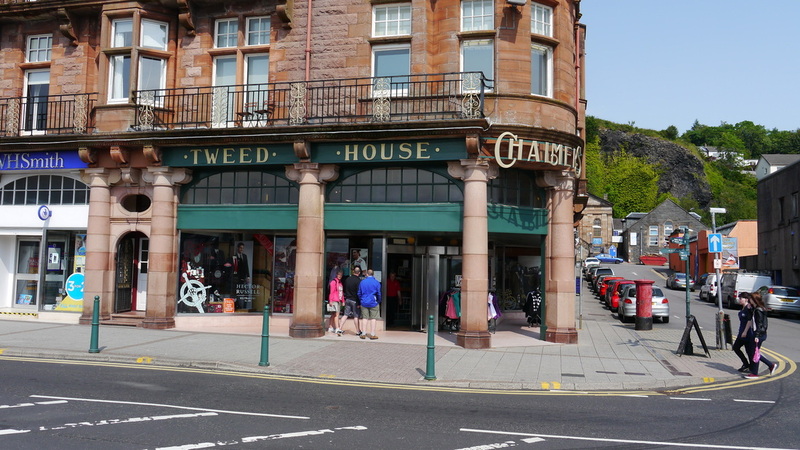 The Whisky Shop has a branch in Oban, which moved to a smaller site in the main shopping street - George Street. 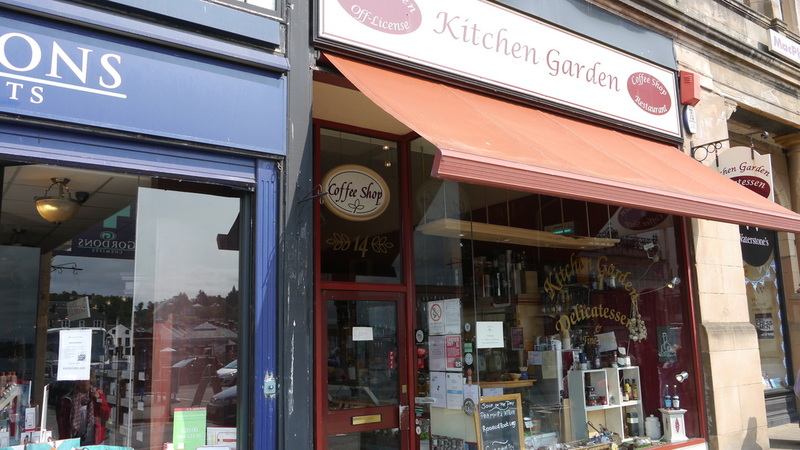 Also along George Street Hector Russell and The Kitchen Garden sell whisky. But since 2014, Oban has had a proper whisky shop - Whisky Fix - who organised Oban's first Whisky Festival in 2017. 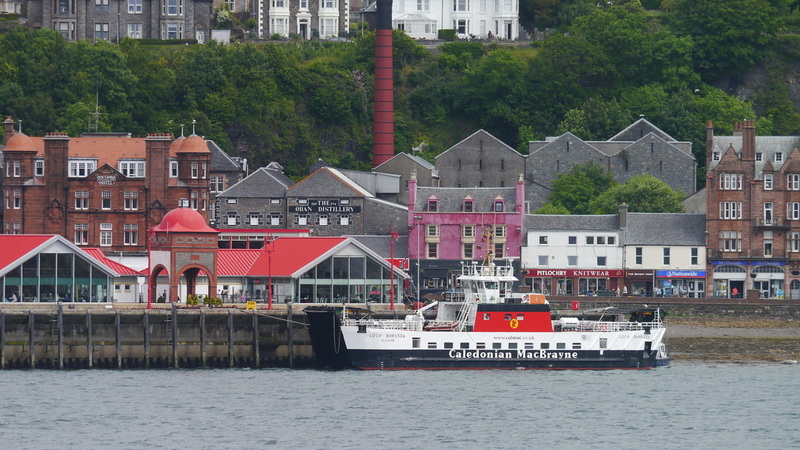 Oban is justifiably known as the Gateway to the Isles, as you can get ferries to Kerrera, Lismore, Mull, Colonsay, Coll, Tiree, Barra and South Uist. 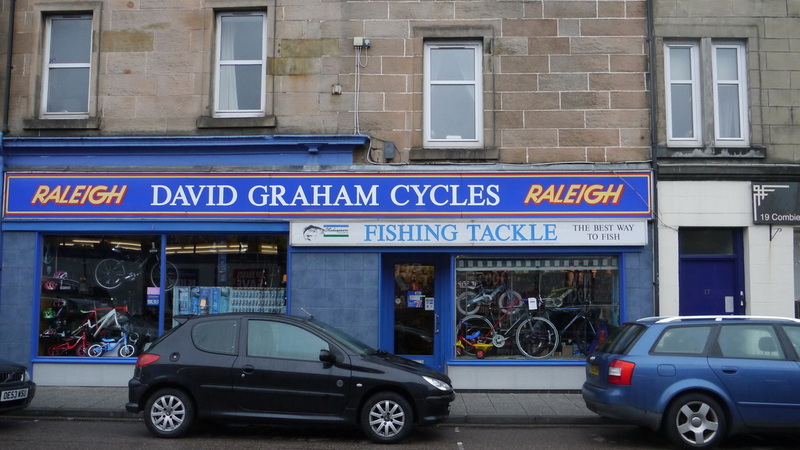 Additionally there is a weekly service to Islay and Kennacraig. 6 miles north of Oban is Connel (the station is still called Connel Ferry, despite the railway building a bridge for its extension to Ballachulish in 1903). 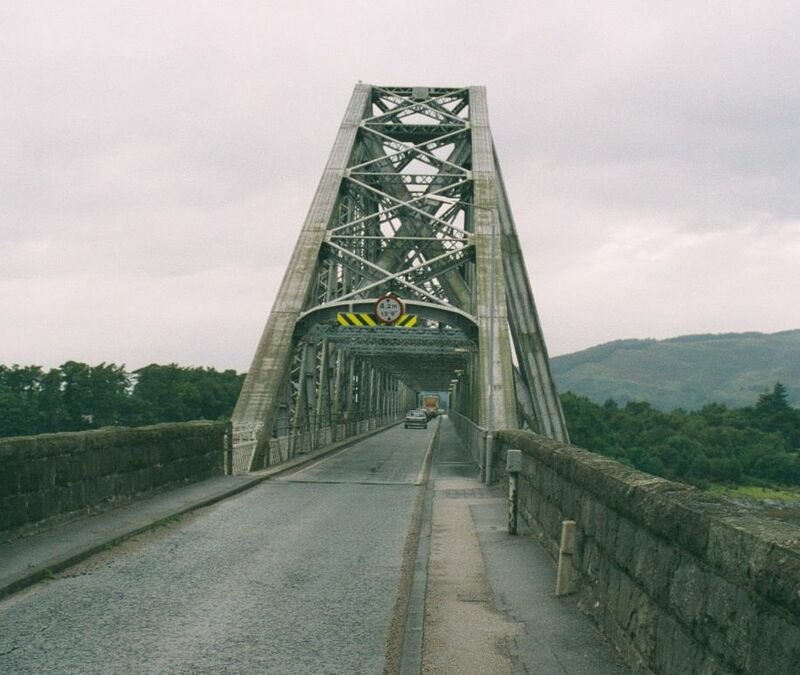 The bridge itself is of interest as it has progressed in stages to become a road bridge - firstly with trains taking cars across the bridge; then with a roadway built alongside the railway, and finally full conversion to road on the closure of the railway in 1966. Below the bridge, at the narrowest part of Loch Etive are the famous Falls of Lora. Oban is on National Cycle route 78 (The Caledonia Way), which has a spur from Ganavan Bay to Dunbeg, added some 5 years ago, though this is still not shown on the OS 1:25k map - see 1:50k. 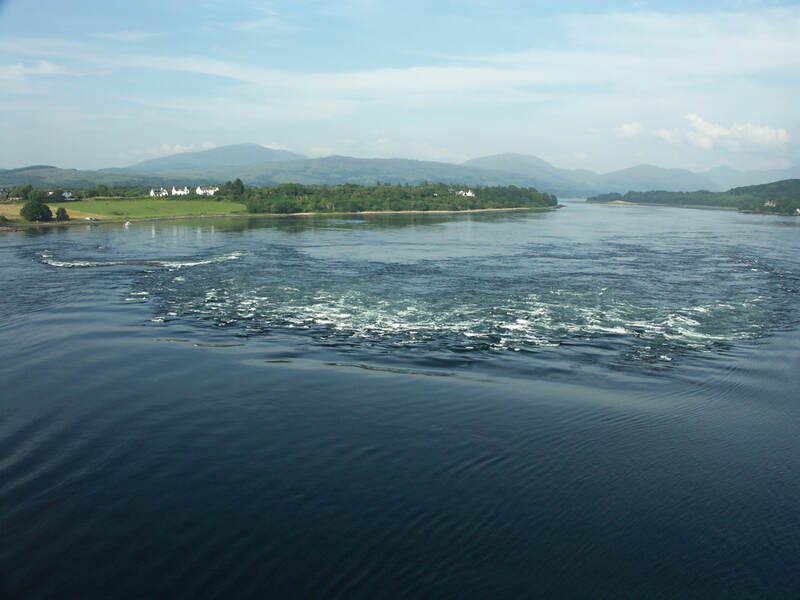 Though the main route of NCN 78 is needed to avoid the A85 all the way to Connel - or Taynuilt. 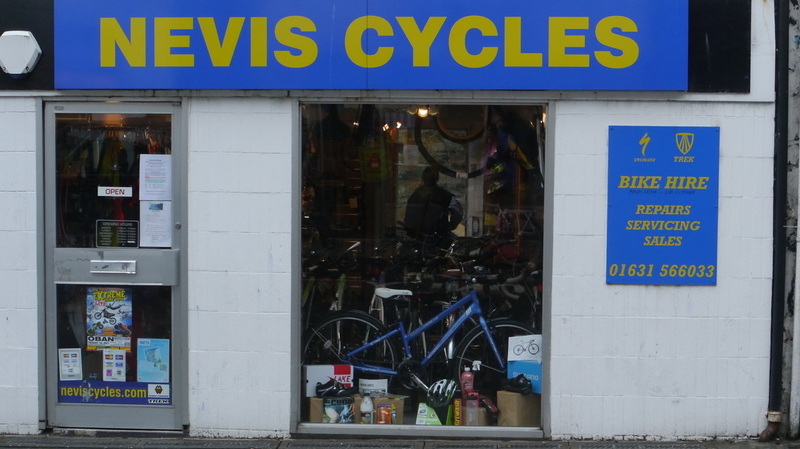 Detailed description of this part of NCN 78. Nearest station Oban (OBN) Live train times. Irregular train service to Glasgow. Though the railway approaches Oban from the north, local geography meant a detour behind the town with the final approach being from the south - this also meant the building of a special pier for the railway, as the existing pier was at the north of the inner bay and deemed too expensive to reach - to the annoyance of John McCaig who owned that pier. Check CalMac site for details of ferries, all of which, except that for Kerrera leave from the pier built next to the Station. 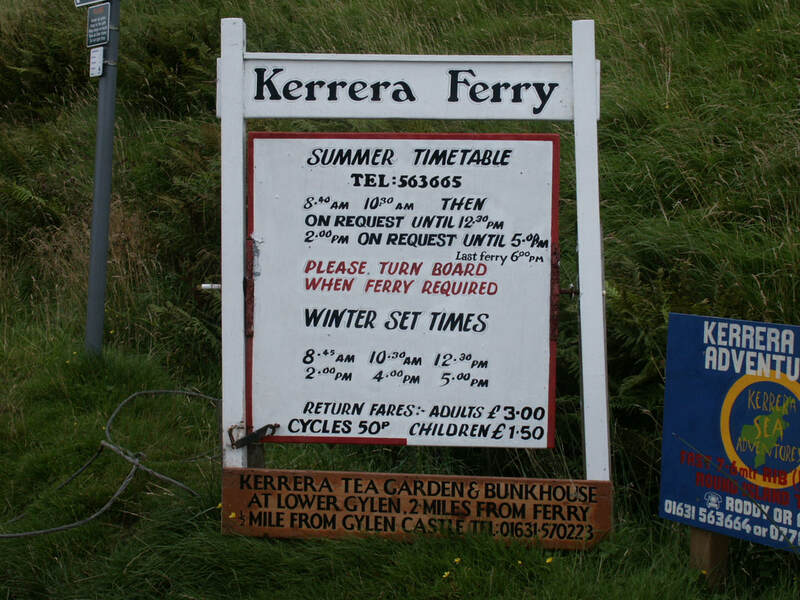 ​The Kerrera ferry is about 2 miles south of Oban on the Gallanach Road, the Open Data map rather grandly calls it Port Kerrera - it's just a ferry slip and a bus stop. The ferry was taken over by CalMac in 2017. Seems to be unsure whether it should call itself a Guest House or a Hotel - good position, good value for money. Stayed there in June 2003. Check PO Branch finder (search for postcode PA34) to check opening times. Banking - many branches with plenty of ATMs.